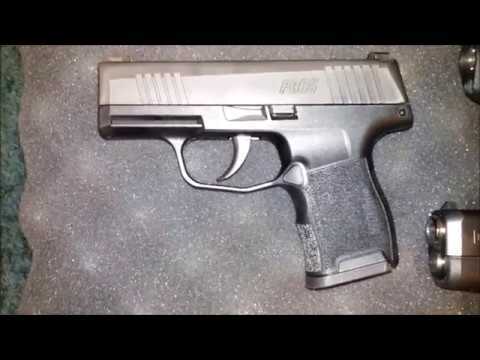 Introducing the game changing SIG Sauer P365 9mm pistol. Micro-compact everyday carry size with unprecedented 10+1 full-size capacity. The P365 is striker-fired, with the clean crisp trigger pull you expect from a SIG. Lightweight and easy to conceal, the P365 is chambered in 9mm and is rated for +P ammunition. Included standard are XRAY3 Day/Night sights, a 10-round flush fit magazine, and a 10-round extended magazine. An optional 12-round extended magazine allows you to bring the total capacity to 13 rounds. The new P365, Bring More, Everyday. The NRA's Shooting Illustrated Magazine "2019 Handgun of the Year"
Guns and Ammo Magazine's "2018 Handgun of the Year"
Ballistic Magazine's Editor's Choice for "Compact Semi-Automatic Pistols"
NASGW-POMA Caliber Award for "Best Overall Product"
For the best selection of rifles shotguns and handguns, shop Palmetto State Armory! It says buy it now then it says out of stock? BEST ANSWER: Ya what’s up with that. Because you used the link from the email add? Does this have the new trigger spring? How long would it take to get a P365 w/ X-ray night sights in? BEST ANSWER: They all come with the x-ray sights now. So if you can find one it has them. is this pistol in stock now? Are these the Gen 2 models? When were they made? Production date? 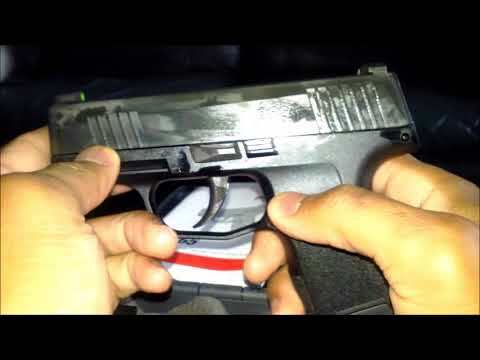 Is this version of the P365 have the issues with the slide not going back into battery, firing pin breaking and/or trigger spring breaking resolved? Whats the born date on these?? Are the from the new production batch? BEST ANSWER: Mine was January 2, 2019. You keep saying it’s available....it’s not ???? Is this the new model or old stock that has had the stirkers breaking and spring problems? Does this have a thumb safety??? 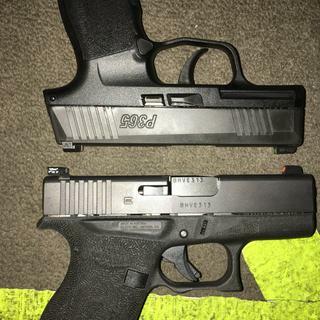 does Sig 365 have external safety? BEST ANSWER: No. But, If you look very closely, near the back of the frame, you can see a small machined line in the polymer, in the position that a safety would be. Rumor has it, they will develop one with a thumb safety in that position. No, the only safety lies between the shooters ears. FYI this is probably not designed for a new shooter. No, the 365 does not have an external safety. No, there is no external safety. No there is no external safety. The model I bought did not. Which “generation” is this? Does it have all the rolling upgrades up to October 2018? I ordered mine late September and the ‘born on’ date was in September, so it was very fresh off the line and had all the updates that I am aware of. I believe it is as current as you can get. Bought mine on 9/12/18 and the box was dated 9/5/18. About 400 rounds trouble free so far. Have they cleared up the drop safe problem? As far as I know, all problems have been addressed. This is why they took so long to get to the consumer. Yes they have. Great gun. Does it have the SRT trigger like the bigger sigs ? BEST ANSWER: No, the P365 has a striker, it is not hammer fired. The trigger on the P365 is very good. Does it come in a grey case or black? BEST ANSWER: It is now and has been off and on the past couple days. Any idea as to when this will be back in stock? When do you guys think that it will be back in stock? Does Sig come with gun case? BEST ANSWER: Yes it comes with a case. Good enough for general use but not heavy duty like the Springfield Armory cases. Wouldn't be good for air travel. It comes in a hard plastic case. When was this gun Manufactured? BEST ANSWER: I cannot give you a definitive answer Keith but i can tell you that this particular P365 that I own is now my everyday carry.Easy to carry, shoots great with not one problem since my purchase.I can honestly say that I have many other carry pieces,but this one I know I can trust after putting over 700 rounds through it without any glitches.Sure hope I was able to help you.If you get one, enjoy it..."I DO". I can't answer that specifically, but I can tell you that it should have all the latest revisions by Sig Sauer. Mine has been working great, but you will still get some primer drag due to the speed of the slide and the timing of the extraction. Physics is Physics. the one I purchased was manufactured in sept which was around the time I purchased it. I would say that all models shipping are current up to date productions. 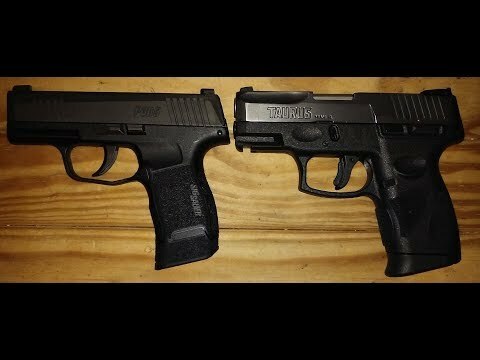 Will Fiocchi 9mm 115gr FMJ ammunition work with Sig Sauer p375 handgun and micro compact extended 12 rd magazine? BEST ANSWER: Of course it will. I have had 2 of these, both have eaten everything ive put through them. 115’s 124’s etc. 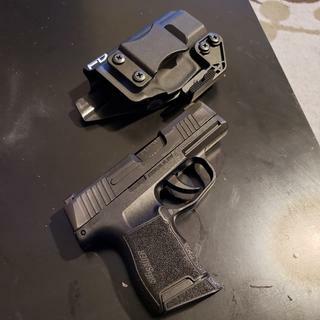 H laser sight will work with Sig Sauer 9mm automatic? Will all 10 rounds plus the 1 round fit into the magazine or would I need to keep some of them somewhere? So 10+1 = total amount the magazine and chamber can hold together. Yes all 10 + 1 fit. That is what makes the sig so marketable right now. Is this the latest generation/ update of the gun? With all the bugs worked out? BEST ANSWER: As far as I can tell, yes! No issues so far, I’ve put a few hundred rounds through it. Yes sir, this is the latest version. I have had no issues with mine. will this help with E.D? Any chance you know when more will be coming off the production line? 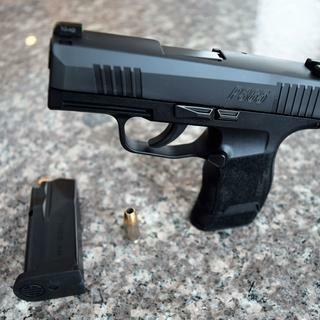 Do you know of any ladies who have tried this gun out? I carry a 38-P but it is heavy. BEST ANSWER: I have not been able to get this pistol to the range yet. I have had it for less then two weeks to date. The fit, feel and function all feel good short of actually firing it at this point. I am most impressed with the magazine capacity in such a low profile frame. Very light, and will accommodate smaller hands well. As long as I fire this pistol well (accurately) it is likely to replace my Glock 43 and Glock 26 (depending on what I'm doing and where I'm going) as my every day carry. I have not been able to get this pistol to the range yet. The fit, feel and function all feel good short of actually firing it at this point. I'm impressed with the magazine capacity in such a low profile frame. As long as I fire this pistol well (accurately) it is likely to replace my Glock 43 and Glock 26 (depending on what I'm doing and where I'm going) as my every day carry. Is this the first gen. or 'second gen.' version? BEST ANSWER: "2nd Gen" - New night sights, and no firing pin issue. BEST ANSWER: There is no safety. I was a little hesitant due to all the early failing of this handgun. But it seemed as though SIG had addressed those, and I verified that my firearm had a recent "born on date" (Feb 2019). First, let's start with the size. This thing is smaller than I realized. I'm amazed at how compact it is, yet how well I handle it, and how many rounds it holds. Second, I thought it was shooting a little left, but it turned out it was my trigger finger yanking it. I don't have that problem on my G19 or XDM, so I'm guessing it is the way my finger rests being such a small frame. I made a conscious effort to place the pad of my finger on the trigger, and then I was hitting dead center (though it was a bit uncomfortable on my finger). Probably something I need to get used to and will with more time on the gun. Third, it was extremely reliable, with one caveat that I'm currently going to assume is related to the old ammo. It ate everything I fed it (Federal/Winchester, FMJ/Hollow Points). Then on about round 150, I had a light primer strike. Upon inspecting it, it was definitely light. But I've had the same happen with this Winchester White Box in my Glock 19, so I really think it was the ammo. Finally, I brought it home to clean it, and was very impressed at how easy it was to takedown. 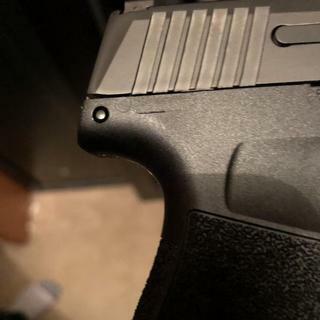 Of course, the slide comes off of the frame similarly to any other striker fired handgun, but the striker itself was very easy to remove (from sliding off the backplate, to removing the striker assembly). I tend to use the Hickok 45 method, and dry clean most of the gun (rubbing alcohol) oiling only the barrel and the slide rails. All in all, I'm very pleased with it so far. Really looking forward to pocket carrying this bad boy! As for PSA, they had the best price on this I could find. $500 instead of $550 like most. It did take quite a long time to be delivered (Ordered 3/27, Shipped 4/1, Delivered 4/5). However, that was within PSA's shipping terms listed on their site, so I can't complain. Just worth noting in case you want it fast. I love this gun since I picked it up from my ffl it has gone everywhere with me. Over 300 rounds so far of multiple ammo types amd not a single hiccup I would recommend this gun to anyone. Love it so far. Only had a chance to put 100rnds through it so far but no issues or malfunctions. Great ccw. Even fits in pocket. Much more enjoyable to shoot compared to the Glock 43 I sold. Grip size is decent without any extended mags. I’ve carried Glocks for over thirty years The 365 is a Glock killer, my 43 & 19 stay in my gun safe. I rountinely shoot 10” plates at 25 yards with the 365. Great little carry gun. Accurate for how small it is too. Nice factory trigger. Good price, and quick shipping to my FFL. Finally made it to the range with my Christmas present. I put 200 rounds through it with Blazer 115 gr FMJ. Zero issues with ANYTHING!! I waited to purchase this gun until after the initial issues were resolved. I couldn't be happier. My favorite "pocket" gun out of my Glocks, Kahrs, Beretta Nano, and everything else. The trigger is fantastic for a striker fired weapon. Fit and finish were excellent as expected from Sig. Can't beat $499 and free shipping. Stock up on 12 round mags, and call it a day. If you are on the fence, just do it. Worth trading some of your safe queens for a great carry piece. Wow, this feels smaller than my S&W Shield! 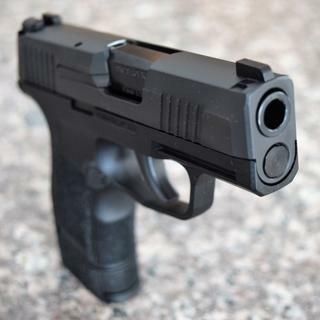 This handgun is very easy to shoot and control. I ordered the 12 round magazine for a little longer grip. My hands are kind of large. That said it still is an easy to handle small handgun. Purchased one of these this past weekend from PSA in Summerville. Also bought ammo and immediately took it into their on-site range. I ran through 150 rounds of Winchester white box 124gr. NATO, and then fired another 15 rounds of Hornady Critical Defense 135gr. and 10 rounds of Hornady Critical Defense 124gr. +P. Striker drag was quite prevalent but seemed to get somewhat less bad near the end of the range session. However, the gun worked amazingly with 100% functionality. Recoil was very manageable for its size. My one complaint about the grip is that it doesn't allow for my support hand to get a good purchase on the grip itself - didn't seem to affect accuracy and I could compensate for it. After getting it home, I noticed some damage on the barrel lug, but not enough to render to pistol inoperable. All in all, really nice pistol and comfortable to carry. Especially excited by the capacity in such a small package. I own a number of handguns - 2 Glocks, 2 H&K, 4 Sig Sauer and this is by far my favorite. Has a great trigger, crisp break, 4000+ rounds through it so far with zero issues. I had a M&P Shield for a CCW and it was compact but the P365 sets a new standard for carry size and operability. Fits my large hands and the pinky extender is spot on. Trigger is smooth and the night sights make target acquisition in low light easier. I like the extra capacity over the Shield. IWB is also more comfortable for everyday carry. I'd like to give the gun a 4.5 rating if possible. It is nearly perfect. The trigger is really good out the box but could be refined. I love how small and light the gun is and it is pretty accurate for the size. Have ran a couple rounds through it without an issue. Recoil isn't bad either for the size. Very controllable. Born date is January 5, 2019. I’ve had my eye on this gun since it first came out. Although I love my G19, it’s always been just a bit too big for EDC. Enter the P365. Significantly smaller, no printing when carrying concealed, and Ann amazing mag capacity for such a small gun. I have had zero issues after 600 rounds. With the extended mag, I can get all of my fingers on the grip which is a huge plus. The gun is fun to shoot, and that is important. However, there are a few things you need to know. 1. The rear sights are very weak. In lower light settings like an indoor gun range, the dots are hard to pick up. No issues with the front sight. In daylight, bright indoor light, or no light, the sights are totally fine. The front sight is easy to pick up in ant light. 2. The slide lock is extremely hard to use. 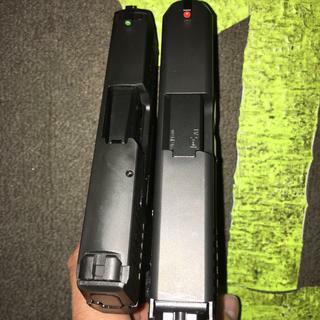 When you slide lock back and drop in a new mag, it takes TWO thumbs to release the slide! Not good if you are actually under duress. 3. It’s just plain harder to shoot a tight grouping with such a short barrel. That’s not a criticism of this gun, just a warning to anyone who may not be willing to put in the training time to become highly proficient. 4. The mag release button is not ergonomically well suited to a quick release with your shooting hand. It is difficult to manipulate in a hurry. With those negatives, you may wonder why I gave four stars. It’s because of the size, capacity, and it’s just plain fun to shoot. By the way, the born-on date is January 2, 2019. What can I say, it's a Sig and I'm a Sig guy. This Gun surpasses my expectations! I have been shooting it a lot with different ammo and no problems so far. Love the 12 round mags (purchased separately) also. It's a fun gun to shoot, and light for concealed carry appendix. Very happy with it so far! I have mixed feelings on this firearm. I have been carrying a Glock in one configuration or another since 1990. I really had no interest in this gun, however my LEO son bought one of these as a back up duty weapon. I shot his and relatively quickly started liking this handgun. I ordered one that very day. 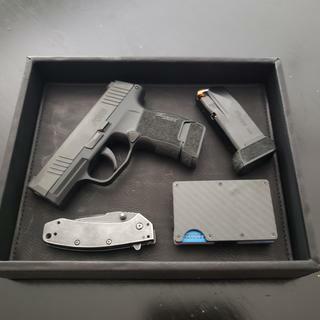 I received my P365 and was pretty excited to get lead down range to test it before I use it as me EDC. I opened the box and began to be instantly disappointed. The gun straight out of the plastic , the gun had a nick in the frame, that wasn't the worst thing that could be, because sooner or later it would happen. Then I take a look at the barrel and where Sig Sauer 9mm x 19 the laser etching is rough and the black coating is missing in that area. Other than cosmetic blemishes, the gun is very nice and a smooth shooter. My main disappointment is the finish on a brand new gun. I have bought and carried 7 Glocks over the years and have never received on with a blemish, even my barrels after 1000's of round and years of use. So in saying all that. The gun itself seems to be a great shooter as of now, but quality control seems to have been out to lunch on this gun. I will also say, that my son's is blemish free. I'm hoping that the blemishes are the only problem that I have. Don’t Buy if you want your life to depend on it. First Sig for me but won’t be the last!!! Quite possibly the most perfect concealed carry gun produced. I’ve seen all the negatives about striker primer drag and breakage. Apparently Sig has this corrected or mine is an exception as I put about 100 rounds through mine at first range session and am THRILLED with the performance of this small 9mm!!! After reviewing casings on last mag shot for the session, still no sign of striker drag. Trigger is fantastic! Very accurate and absorbs recoil way better than expected! I have 12 round extended mags and they fed and extracted perfectly. My new favorite carry gun. I picked up my Sig on Thursday and got it out to the range today. I have been thinking about buying this gun for a while and talked to quite a few people who have bought recent production models on line. All the experiences had been good so I pulled the trigger. I really wanted to like this gun......... and I did, it lived up to all my expectations. After today it is my new carry gun with no reservations what so ever. I put about 200 rounds through it yesterday. About 1/2 at 8 yards and 1/2 at 15 yards. I shot a combination of fMJ, Hollowpoints, and Federal Premium self defense ammo. I did about half with a 12 round magazine and 1/2 with a 10 round magazine. I practiced with both my right and left hand. I did not have a single problem, flaw or hiccup. It ran like a champ. 1. Fit my hand well. Frame had a strange mark on the right hand side towards the back just under the slide. I emailed sig and they said there was nothing abnormal about it. I included a picture with the review. But that’s it...... there was literally nothing I disliked about the gun and had a ball shooting it. The born on date for my gun was November 24th. Hopefully they’ve got the bugs worked out. I hope that no problems pop up in the future and that others who decide to buy one have the same experience I did. 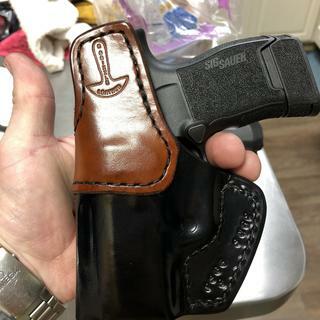 Fantastic gun- very accurate, excellent trigger especially for a small compact like this, great capacity and exception concealability- pocket carry is no problem. It has been reliable over the 100+ rounds of +P I've put through it and while striker drag definitely occurs, it hasn't caused me any problems and internet commandos notwithstanding, the real world incidence of broken striker tips seems to be very low. So unless something happens, I rate this gun 5 out of 5 and it has completely supplanted both my J frame and my XD mod2. Love Sig reliability and the sale price on this was a no brainer. Even replaced my EDC Performance Center Shield with the P365 now. Small/more concealable than my Glock 27. I cleaned it and took it out to my range and put about 200 rounds through it. 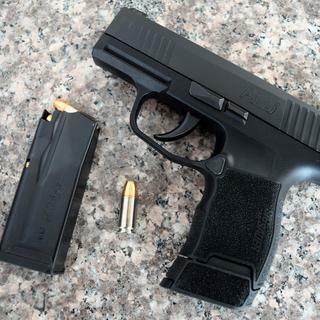 I also compared it to the Glock 43 and the Walther PPS, both of witch are great guns too. The added capacity and ease of concealment is great. Decent trigger. I was a little concerned about the reliability issues that have been reported with the sig p365 which is why I waited so long to buy this gun. After taking it to the range though I must say, this is a smooth little shooter. Of course, because of the small size there is more recoil than with a larger gun but its still very surprising how smooth it is. I didn't have one failure. Love the Xray sights on this gun. Very easy to see with my aging eyes. Very well made but I didn't expect any less. It is a SIG! Feels good, shoots good, 10+1 in a very concealable package. 200 rounds of Winchester white without a single malfunction. Good price and fast shipping from Palmetto! great for carry, just got to get to the range for that 5th star. Zero complaints. This is the only Subcompact pistol I would own or recommend. Great sights and trigger. Best magazine capacity in the category. Good power, very controllable. Fed and ate +P. 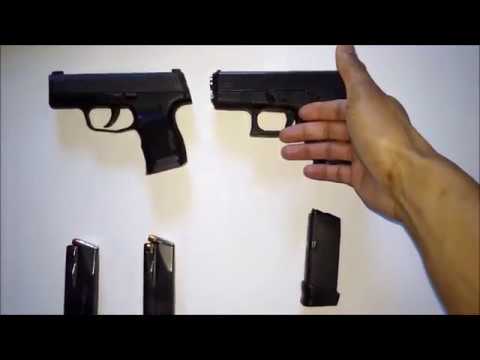 Sets the standard for CCW sub-compact! Near perfection in a small package. Form a function at its finest providing a comfortable grip and solid trigger for accuracy out to 25 yards and beyond. I love it. 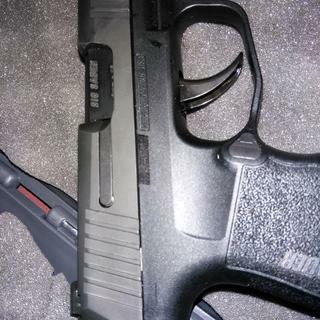 The size o my Kahr pm9 and holds 4 more shells. Trigger is great and so are the night sights. Great accuracy in an incredibly small package. 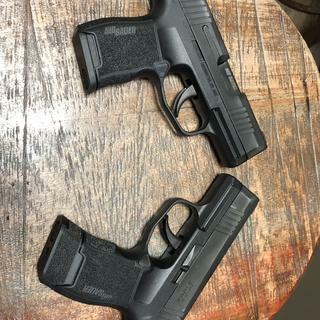 The P365 is just what I wanted in carry size, capacity, accuracy. Have had NO problems or issues after firing many FMJ and Defense rounds (including P+). My range sessions proved to me it is much better to stay in the 115 grain range for best accuracy (which definitely revels my sessions with full size guns). 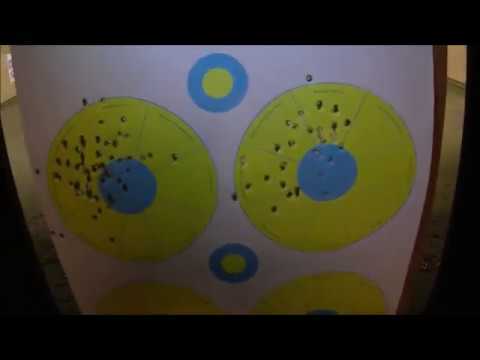 P+ rounds worked well but definitely increased the recoil ... still manageable but opened up my spread some. I recommend carrying the FA with the 10 round mag with the increased base ... and to carry the 12 round mags for back-up capacity. Great package and hard to beat. For reference, this FA had an Oct-18 birth date. 2018 handgun of the year and it wasn’t even close. 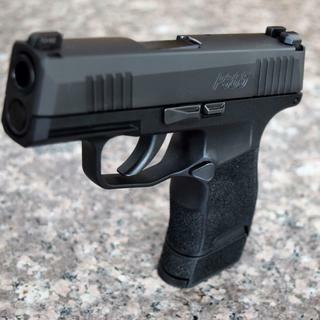 Incredible compact 9mm. 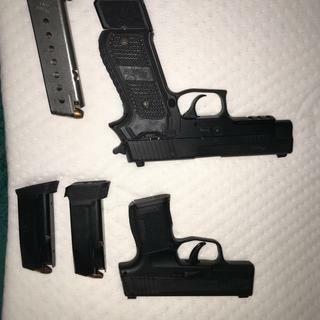 Highly recommend getting two of the 12 round magazines as it only comes with two 10 round mags, one with a little extra on the base plate and one flush mounted without. The accuracy is phenomenal for such a small and short barreled gun. I am truly impressed with the Sig P365. I really like the function/feel of the trigger right out of the box as well as the accuracy which is excellent. 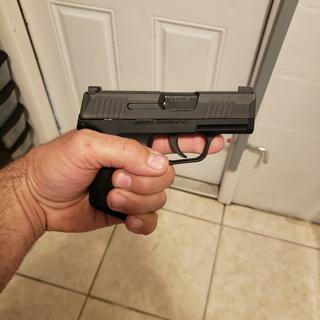 I have a variety of P239,226, 229 Sigs and this is my first Sig Striker Fire. For this class of pistol, Micro-Compact it fits my hands quite well and the additional capacity, double stack, it superior to its peers. Fantastic weapon great off duty sidearm. Best gun I've ever owned. Small, light, shoots fantastic. No flip or snap. I did add the Talon grips (Rubberized) for a better and heftier grip. It's the perfect small 9 mm. And with 10+1 the user gets to bring more! What's not to like? Awesome little CCDW gun! Highly recommend! I’ve had it now for a little over a month,and I have carried it every day,even took it on vacation in my checked bag. I’ve fired it a couple hundred rounds with personal defense and plinker ammo. Not a single failure yet! I love my Glocks, but the EDC advantage goes to the 365 because of Capacity! Mine was produced in late September and to date I have not had any issues with reliability - it seems to eat everything I feed it with no problems. 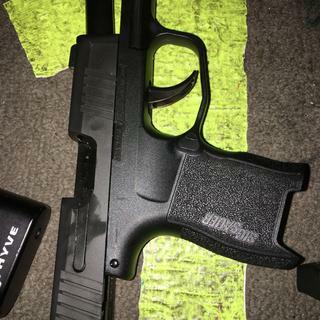 Pistol handles and shoots great,good feel nice sights,11 rounds a plus.My only concern is firing pin drag on all the primers.Without them it would have been a 5.
amazing engineering, much more comfortable to grip that the shield and g43. I only wish it came with the option of both mags having extended plates, the flush plate is pointless. First time at the range and I had several failures to go into battery. Buyer beware! Off to Sig it goes for repair.